Is THIS The Year You Learn How To Play? 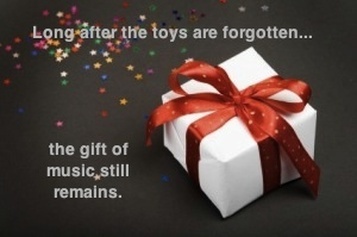 Give the gift of music this year! We teach piano, voice, guitar, bass, drums, ukulele, violin, recorder, flute and MORE for ages 5 and up! Beginners are ALWAYS welcome. Select your certificate option from the menu below and be sure to indicate the lesson type in the memo field. Please note: all lesson options below include registration, welcome packet and assignment notebook. Once your payment is processed we will send you or the recipient the certificate. Per your request a physical certificate can also be mailed (latest date for Christmas is 12/21/18). If you would like us to add the recipients name on the certificate be sure to let us know. The best part is, your gift certificate recipient can schedule their lessons on their own to completely tailor their lesson experience as their schedule demands.